Dr. Nitin Parab has achieved his Doctorate in the field of Human Psychology and Life Coaching and is actively involved with the corporates in various areas of Strategic Management. He is an Author of 3 Leadership Books and Chairman Of MSME Council – Maharashtra Chamber of Commerce, Industry and Agriculture. His views on strategy are inevitable for today's business leaders. Read ON! 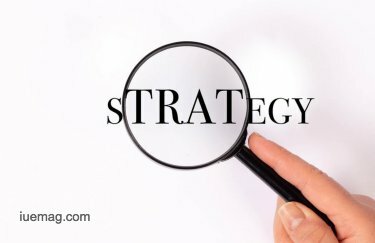 STRATEGY is the watch word on which the Business Leader builds his/her enterprise In the new world of Business shaping up right in front of our very eyes . It is Strategy that will sustain and drive the businesses to extraordinary heights where the forces of competition will never be able to reach and one can navigate the enterprise to the shores of success even in these turbulent times. The Word Strategy in the Business World has not been really understood as it has it’s origin in wartime Greece some 2000 years ago. During that time the warring nations in the ancient world were constantly at war with each other and it is during that time the word originated as Strategios which meant coming together with people and resources for the single purpose of winning a war. Thus this war word finding its place in modern age business times and literature is somewhat misunderstood. To make this point clear let me tell you friends that one needs to have the warrior mind to understand strategy. Unless a situation of a warlike condition is created in the mind one will not be able to establish an evolved Business Strategy. Now we need to have some insights into the Business Mind of a Leader who is a business owner or an entrepreneur .The business mind has two components viz; The Business Intellect and the Business Imagination. It is that component of the mind that deals with Imagination that plays an important part in Strategic Thought. The Strategic Thought leader has to use the tool of imagination to develop a strategy for his/her business. It is purely a Thinking Journey and it incorporates the Business Philosophy, values and the objectives of doing business. It is the thought that converts into a business action on the field which will give your business an edge on others and make you stand out in a cluttered market space. Having been in various roles of Leadership it is my observations that people do not follow benchmarks and they do not follow an individual target. They follow on the basis of a Belief System. It is the belief system that generates the concept of responsibilities, their hexarchy of needs and their personal worth. It is here that the Strategic Leader is able to mobilize a team of People to move them upward and onward. The Leader needs to lead his people on the basis of substance that affects them from the Inside Out. Unless the Strategy Leader is able to resonate his/her idea to the people one will not be able to execute the strategy. To Understand Technological Trends and adopt the same within the organization. Most important for the leader is to create a Culture that is rich and deep which will propel the business thought ahead. This can be done when the Leader practices Strategic Mindfulness which focus on the NOW of action. As I come to the close of my article let me inform the readers that the word strategy involves 4 Ps. Namely People, Processes, Perception and Penetration. These four when aligned together will give rise to the Profits that every business seeks. In a nutshell it is the People that bring in the talent and need to be understood on the strength of their behavior so that they can undertake their roles and responsibilities gracefully. The next being the Process one needs to have the system layout that enhance operations and is able to naturally bring in the quality factor. Next is the Perception that builds up the Brand in the eyes of the employees as well the image in the eyes of the customers at large. Finally all business is about Penetrating the market space and growing the business through an effective sales that will naturally embed the Loyalty factor. Thus on this note let me quote Winston Churchill “The Empires of the Future are the Empires of the Mind” and its only the Strategic Mind of the Leader that will prevail in the Future. Dr. Nitin Parab is currently the CEO at Crosslink International. He is a Business Strategist and Leadership Coach. To reach him via phone send a whatsapp to +91-8151904555 or you can directly eMail him.